Dealing with a car that just won't start up due to weather, collision, or electrical issues? With just one call, our towing specialists will be there to take the vehicle back to our shop for repair services. You'll appreciate our affordable towing services and our guarantee that your vehicle makes it back to our shop safely. For fast towing services, contact us at 413-306-3193. With our 24-hour towing service you can have your car towed any time of the day and taken back to the garage for repair services. In case your car or a car you are driving is disabled, contact Vehicle Repair Center of Western Mass at 413-306-3193 for professional around the clock towing services. At Vehicle Repair Center of Western Mass, we boast well-maintained tow trucks, and highly trained and certified drivers who are committed to providing professional and courteous services to all our customers. We understand how inconvenient it is when your car breaks down. Our goal is to help get you back on the road as soon as possible. At Vehicle Repair Center of Western Mass, we offer professional and friendly towing services. Call Vehicle Repair Center of Western Mass today for details 413-306-3193. Maybe you have been in an accident or perhaps your car has just failed to start up due to mechanical problems and you need to have it towed to the garage. If it is not an emergency, all you need is towing during business hours only. To have the car towed to the garage during business hours, contact Vehicle Repair Center of Western Mass. 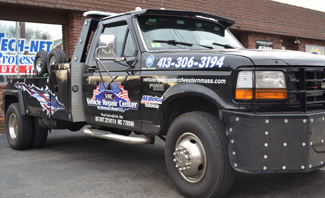 At Vehicle Repair Center of Western Mass, we offer professional towing services during business hours. Give us a call at 413-306-3193. Auto breakdowns are often unavoidable - this is regardless of how new your car is or how carefully you drive. When your car breaks down, the best option is to have it towed to a professional auto repair shop for repairs. This way, you can be back on the road as quickly as possible. To have your broken down vehicle towed to a quality auto shop for repairs, contact Vehicle Repair Center of Western Mass today. 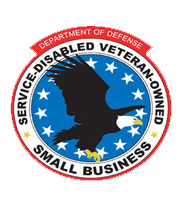 At Vehicle Repair Center of Western Mass, we have a 'towing to shop only' service whereby we tow your disabled car to our auto shop for repair. 24 Hour Towing Now Available!